Peer Mentoring @ Falmouth Rec Center - sign up below! 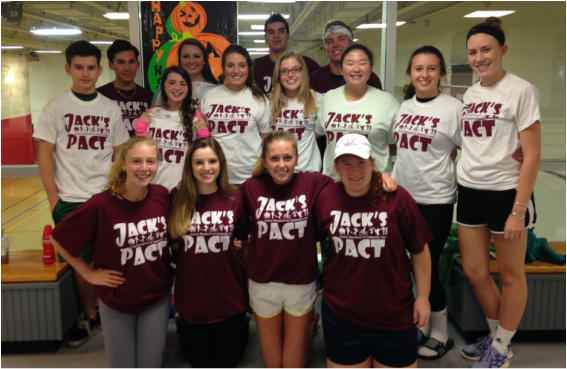 Jack's PACT Peer Mentoring Program with the Falmouth Recreation Center is now in its 7th year connecting teen role models with Falmouth kids from 3rd to 8th grade. It has been a fun, enriching experience for all involved! Be a Peer Mentor! Have some fun! Come & help at the Falmouth Rec Center with 3rd-8th graders on Thursdays (3:15 - 5 PM = After School Program) or Fridays (6:30 - 8:45 PM = Friday Youth Nights). Peer Mentors must be high school aged, Falmouth residents and/or Falmouth students, enjoy spending time with younger kids, have signed Jack's PACT, and demonstrate being leaders and role models among their peers. All mentors must sign up for their preferred shifts below at least 24 hours prior to the start of your scheduled shift. Max of 5 mentors per shift. Peer Mentors play sports and activities, do crafts, video games and pool in the Teen Center, help with homework, talk and spend time with the younger kids to ensure they are having a great time with YOU as a role model. WHAT ELSE MAKES PEER MENTORING SO FUN? Pizza (Friday nights), snacks, and drinks provided. Volunteers receive a 'Team JP' t-shirt and earn volunteer hours. Each month there is a prize drawing, all Peer Mentors who volunteered that month will be eligible to win! 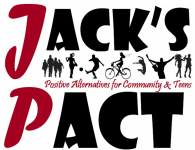 For more information or questions, email Samantha@jackspact.org.